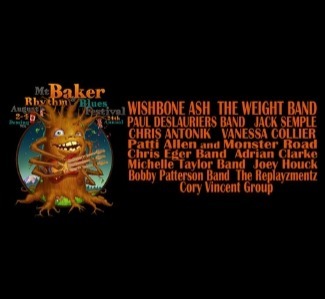 This year will be the 24th annual Mount Baker R&B Festival! Besides the awesome music, attendees will find food/crafts vendors, multiple beer gardens and Blues Society booths selling merchandise from all the artists. Festival performers include: The Yardbirds, Kim Simmonds and Savoy Brown, Selwyn Birchwood, Popa Chubby, Magnus Berg, Noah Wotherspoon, Carson Diersing, Arsen Shomokhov, The Strangetones, The Bobby Patterson Band, Chris Eger Band and others!